Volunteers founded Hubbard House in 1976, and today our volunteers continue to serve a vital role in every aspect of the agency. Why are volunteers so important to Hubbard House? Volunteers contribute their time and energy, their ideas and ideals. They increase our visibility in the community, expand our capacity to provide services, and send a strong message of caring to our clients. This month’s volunteer spotlight focuses on the Jacksonville Alumnae Chapter of Delta Sigma Theta Sorority, Inc. More than 35 members of the group held a pampering day for the women staying in the Hubbard House Emergency Shelter and a field day with pizza and ice cream for the kids. Jamila Pope Chestang, a key coordinator of the recent volunteer effort, gave insight about Delta Sigma Theta’s relationship with Hubbard House. 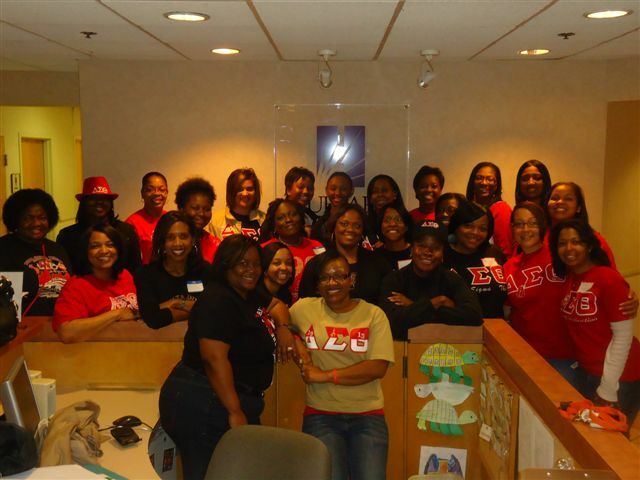 Why did Delta Sigma Theta Sorority decide to donate their time and resources to Hubbard House? Delta Sigma Theta Sorority, Inc. is an organization that supports and fights for human rights and equality. Domestic violence is an epidemic and can affect anyone in the community regardless of ethnicity, class, or status. We wanted to raise awareness of the issue and provide support for those families whose lives have been altered. What made your group get connected to Hubbard House? Hubbard House is considered to be one of Jacksonville’s local heroes for those affected by domestic violence. It was only fitting that our organization would partner with Hubbard House to help provide services for those affected by domestic violence in our community. What did the volunteering experience mean to your group? We knew that families affected and displaced by domestic violence have good and bad days. So, we wanted their experience with us to be great! We wanted to impress upon them our love and support and encourage them to know that there would be brighter days ahead. Our interaction with everyone while volunteering made us ecstatic to know that we were able to put a smile on someone’s face and bring some joy into their lives! “You have one new message”: Talk to your teen about “textual” harassment. If you could turn off their cell phones and unplug their iPods, what would you learn about your teen? Would you learn that they had a new hobby? Would you find out about a new crush? Or would you discover that they’ve been receiving a number of inappropriate messages? “Textual” harassment is constantly sending texts, instant messages or emails in an attempt to harass or keep tabs on someone. Unfortunately, at a time where cell phones and unlimited texting plans are popular among young people, “textual” harassment has become a growing aspect of dating violence. According to the Pew Research Center, 88 percent of teen cell phone users are text messengers and texting has now overtaken the frequency of every other common form of interaction with their friends. Kaupa teaches Hubbard House’s Relationship Abuse Prevention (RAP) program to local middle and high school students. The goal of RAP is to prevent future violence by educating students about violent and non-violent behaviors and healthy versus unhealthy dating relationships. RAP also covers bullying, harassment and stalking through technology – which unfortunately has become a growing issue among teens today. The Pew Research Center states one in three teens say they are text messaged 10, 20 and even 30 times an hour by a partner keeping tabs on them. Many teens have a hard time distinguishing the difference between a partner who is caring and a partner who is controlling, they become accustomed to the harassment and therefore, fail to view it as such. 82 percent of parents whose teens were emailed or text messaged 30 times an hour were not aware of the harassment. “Textual” harassment often goes unnoticed by parents because the messages are private and hard to block. Communication is Key: This is the most important thing you can do. If your teen is comfortable talking to you, he or she will be more likely to show you disturbing texts or even ask for your help if they are being bothered by text messages. Be Proactive: Help them understand the significance of giving their cell phone numbers to people and that they should only give their numbers to people they know and trust. Monitor The Bill: Check how many texts your teen is getting per day, and also the times and who is sending the text messages. Take note of any suspicious activity, like a heavy volume of messages from an unknown number and discuss this with your teen. Be a Techy Savvy Parent: A lot of parents get nervous when it comes to the latest gadgets, but if you are not aware of new technological advances and the way they impact your teen, you won’t be able to effectively protect them. Take Action: If someone is “textually” harassing your teen, document and save the messages. 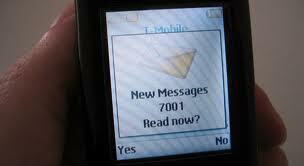 Notify the police if the text messages are threatening, and contact your carrier to block the sender. You may also want to consider changing their number or temporarily disabling their texts as well. If you or someone you know is affected by domestic violence please call the Hubbard House 24-hour domestic violence hotline at (904) 354-3114 or (800) 500-1119. Hubbard House can help. ABOUT HUBBARD HOUSE: Founded in 1976, Hubbard House is a certified, comprehensive domestic violence center providing programs and services to more than 6,000 women, children and men annually in Duval and Baker counties. While Hubbard House is most known for its emergency shelter, the agency also provides extensive adult and youth outreach services, school-based education, therapeutic child care, batterers’ intervention programs, court advocacy and volunteer and community education opportunities. Visit http://www.hubbardhouse.org to learn more.